Charles Lenox’s is the quintessential armchair detective. Being a highborn well funded gentleman has it’s perks and one of them is being allowed eccentricities. For Lenox, his ‘eccentricity’ is….wait for it….a J-O-B! Being a detective is something most of Lenox’s friends frown upon, he frequently finds himself on the source of a good many jokes and though he is well liked, his profession isn’t deemed proper by his social circle. This fact is beginning to wear on Lenox though, after all he is an Oxford chappie and well liked in London society and with his older brother holding a seat in Parliament….Lenox longs to be truly respected. In the last Lenox novel, The Fleet Street Murders, Lenox was elected to Parliament– politics being a long admired profession and a role Lenox hoped to fill for many years. Though many of his dreams are coming true, so much in his life has changed since the first novel in this charming series! 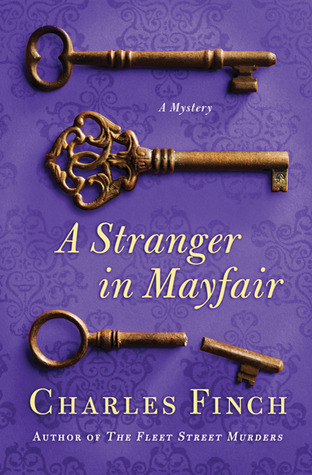 In the latest book by Charles Finch, A Stranger in Mayfair, finds our beloved detective retuning to London after his marriage to his life long friend Lady Jane. Parliament will be in session in a few weeks, he has taken on an equally eccentric apprentice (Lord Dallington), and now a footman of a fellow MP has put Lenox square between two jobs he loves most…..politics and crime solving. Ludovic Starling begs Lenox for help with his footman turns up murdered in an alley behind Starling’s house in Mayfair. But as soon as he arrives to investigate, Starling dismisses him in favor of Scotland Yard as the primary investigation team. But Lenox is not easily dismissed but with Parliament being called to session, Lenox doesn’t have much choice but to enlist the help of his apprentice, Dallington. The mystery is much more complex than originally thought and it will take all the deductive powers that Lenox and Dallington possess to solve the case when suddenly an unlikely suspect confesses to the crime, leaving the two sleuths even more confused! Meanwhile, Lenox is struggling with his new role as husband….after all he is forty and lived most of his lift as a bachelor–suddenly having to account for his whereabouts is an unfamiliar practice that Lenox hasn’t thought of since boyhood. The honeymoon was bliss but married life is proving a little trying on both Jane and Lenox. In his professional life, disillusionment sets in. Once being an MP was all Lenox dreamed of, but it is not all he imagined it would be. For the first time Lenox realizes he might have to choose between the fashionable job in politics and the laughable detective work that he truly loves. The day may come when Lenox must choose between the life society dictates and the life he wants. This book surprised me greatly. I was not expecting to like it as much as I did. This series as a whole has been a solid mystery series but the last book was not my favorite, which is perhaps why it took me so long to read A Stranger in Mayfair. I found this book more comical and witty than the others which was pleasant. Lenox is not overly dashing or witty but he is intelligent and a kind, honorable man….but in all the books I felt a wanting for more of the British charm and humor I love so much. Which I suppose is why I loved that Dallington took on more of a role in this book….he is rake-ish but I love it! Dallington is a younger version of Lenox, he is a titled, highborn lordling with way too much time on his hands. Being the younger son he has the luxury of living the high life without responsibility….he drinks too much and loves the company of saucy women. So instead of joining the military or clergy like all good second or third born sons–he sets out to be a rake of the capitol order. But when that gets boring he decided being a detective might provide him with direction and purpose. So he approaches Lenox since the both move in the same circles….and Lenox takes him on as an apprentice. Dallington quickly proves he is more than just a rake–he is smart, decisive, loyal, and honorable but he is still young and impetuous. Dallington has really come into his ‘own’ in this book….he is quickly becoming my favorite character, even more so than Lenox…..Lenox better watch out whilst Dallington steals the show :). I liked how this book was more about the mystery than the backstory of the characters….in the last book I felt like there was too much going on with the political angle and the romance between Lenox and Lady Jane. The overall series is not latent with cumbersome story lines but I did notice Book #3 especially deviated from the mystery which was disappointing. In this book though, Finch got back to what was important in this series….the mystery! This book breathed life into the series for me. One thin which I was also impressed by was how each of the characters grown and change appropriately in the series….though the direction deviated in Book #3, things got right back on track with the characters in this installment. The characters lives individually grow and develop which impacts the relationships amongst them. Finch does a great job with his characters and weaving their relationships together….Dallington being a great example. The mystery is intriguing, and full with effective twists. I like that Lenox and Dallington try on different theories before the final solution is reached. The conclusion is no more obvious to them than it is to the readers. 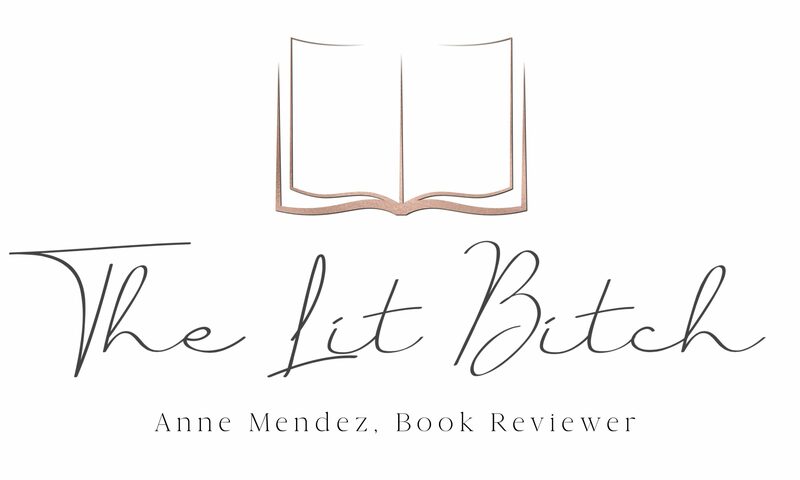 I might have figured it out if I wanted to but the story involved me to the point where I wasn’t deliberately trying which surprised me–it made the book that much more enjoyable for me. I love how all of the Lenox books involve the ‘downstairs’ staff in some way or another. I love that the butlers and maids often play larger roles in the series….since I am really in to Downton Abbey right now, what goes on below stairs is a huge selling point in a book for me :). If you are looking for a good Sherlock Holmes style mystery, then this is the series for you! Finch knows his Victorian history so readers will feel authenticity in the historic parts of the book. Historic figures are in their proper roles and characters, plus Finch has a clear understanding of the British aristocracy…..add that to his knowledge of detective novels and you have the recipe for a perfect charming British mystery!